Chicken starters are fit for any occasion. Especially for a bbq party. 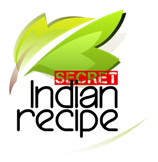 Try this yummy full masala marinade. It can be grilled or barbecued. Now coat the chicken with the remaining marinade, place it in a zip lock pouch or any plastic bag or bowl with all of the marinade.